Must-Have Vehicle Gadgets - Hegarty-Haynes Insurance, Inc.Hegarty-Haynes Insurance, Inc.	Must-Have Vehicle Gadgets - Hegarty-Haynes Insurance, Inc.
← Safe Travels, Happy Holidays! Make your car smarter and safer in 2018 with the right products. 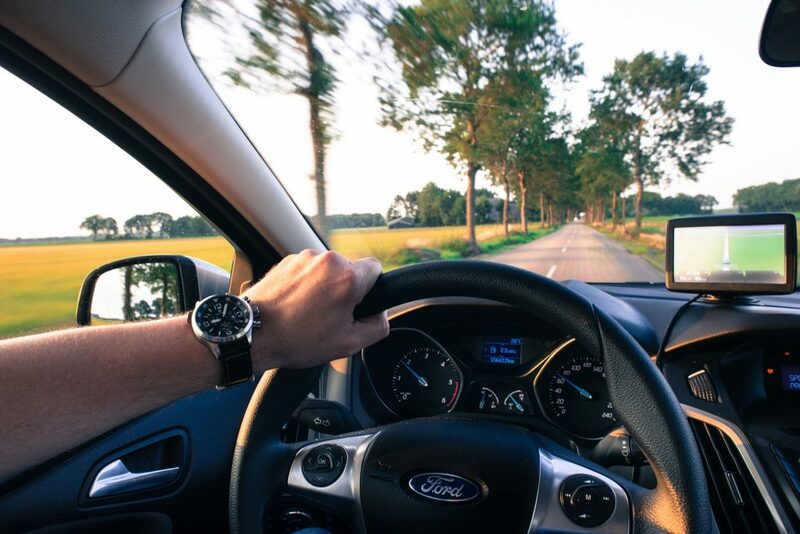 These must-have vehicle safety gadgets, all of which can be purchased aftermarket, are designed to help you be better prepared for whatever the road may throw at you. Here are just a few of our favorite vehicle gadgets. You should also include tire chains, a snow/ice scraper, and a snow shovel if you live in, or expect to visit or drive through, Northern Arizona (where freezing temperatures, snow, and ice may exist or be forecasted). You can either buy a pre-made emergency roadside kit, adding missing essentials as needed, or build your own using the above item suggestions. Already have a kit? It’s a good idea to review its contents, replacing anything expired or damaged, once every season. This easy one-touch mount is made to keep your phone handy while you’re on the go, making tasks, such as navigating to the nearest Starbucks and hands-free calling relatively easy (and safe!). It securely attaches to your dash or windshield via a sticky gel coated suction cup. Adjustable viewing allows you to extend and pivot its telescopic arm for a variety of optimal positions. Whether you’re going mountain biking, hiking or camping, an emergency radio could prove to be a vital tool during an emergency. In an emergency, having access to light, NOAA weather information, and alternate sources to charge your phone can be invaluable. Typically, emergency radios can be powered by hand crank, built-in solar or with a battery. They are also compact enough to store in an emergency roadside kit. It’s inevitable. From the grocery store, pediatrician’s office or local amusement park, today’s families are always on the go. Make car rides easier with Travel Tray; an innovative two compartment snack and drink travel tray. It can be taken anywhere and fits conveniently into vehicle, car seat and stroller cup holders. 100% food grade safe; BPA-free, PHT-free, and PVC-free; and top rack dishwasher safe for easy cleanup. A dash cam is to your car what a security camera is to your home. High-definition dash cams can help you prove who is responsible for a motor vehicle accident or record a memorable drive. Provides high-quality recordings during both the day and night. This dash cam features wide dynamic range, loop recording, and accident auto detection. It also automatically turns on and off when you switch the ignition on and off. The newest tech/safety feature on aftermarket navigational systems is a heads-up display. The idea behind this futuristic feature is simple: Eliminate distractions by displaying turn-by-turn directions directly in your line of sight. This tech attaches to your car’s dashboard and connects to your phone via Bluetooth, displaying maps, music, texts and calls on a transparent screen. Best of all, it can be controlled hands-free! Under-inflation is one of the leading causes of tire failure and poor fuel economy. Newer cars have a tire pressuring monitoring system (TPMS) that lights up a warning on the dash if low tire pressure is detected. While owners of older cars had to remember to check their tire pressure monthly, there are now aftermarket tire pressure safety monitors that can be purchased, and installed within minutes. This system includes four Bluetooth-enabled valve caps, a receiver, and a smartphone app. This entry was posted in Auto Insurance, Don't Text and Drive, Safe Driving. Bookmark the permalink.